Car sale profits support Second Chances Garage so we can repair program cars and place them with individuals and families in need. Please consider purchasing your next pre-owned car from Second Chances Garage . 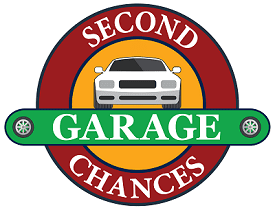 Second Chances Garage also sells low-cost cars to the general public. Anyone may purchase as there are no special qualifications or requirements. Proceeds from these car sales go directly to supporting operations at Second Chances Garage. Every car sold has been carefully assessed and appropriately repaired. Most “Public Sale Vehicles” are Maryland Safety-inspected and offered with full disclosure of any known issues (e.g., information provided by the donor and information from Second Chances Garage’s assessment and repair process). Others may be sold with title only and will need repairs to pass inspection. As vehicles become available, they are listed on Craigslist (Frederick) or Craigslist (Western Maryland). Please check both links for complete listings. If you are interested in one of the vehicles currently for sale, please contact us at 240-724-1919. Please note: Second Chances Garage does not finance these vehicles. Payment may be made with a money order, cashier’s check or cash. We do not offer financing or payment plans. We cannot accept trade-ins.